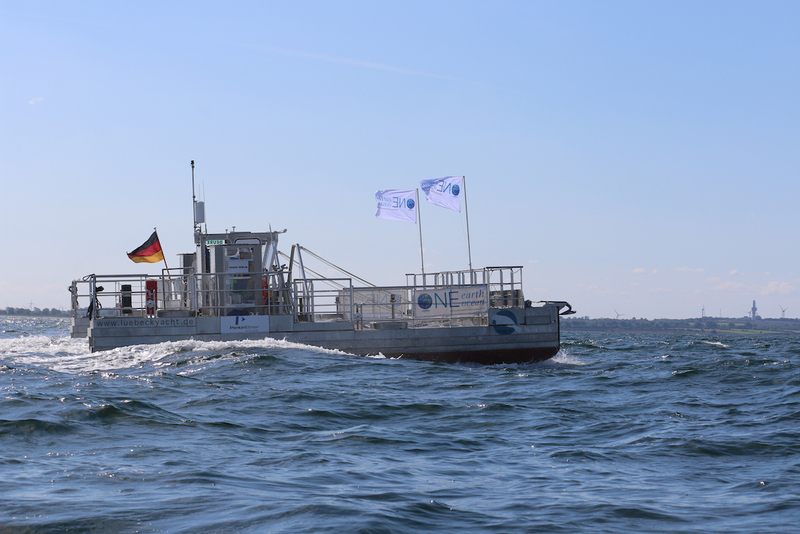 In autumn 2016 the launch of SeeKuh, a special catamaran developed by OEOO for the collection of plastic waste, took place. 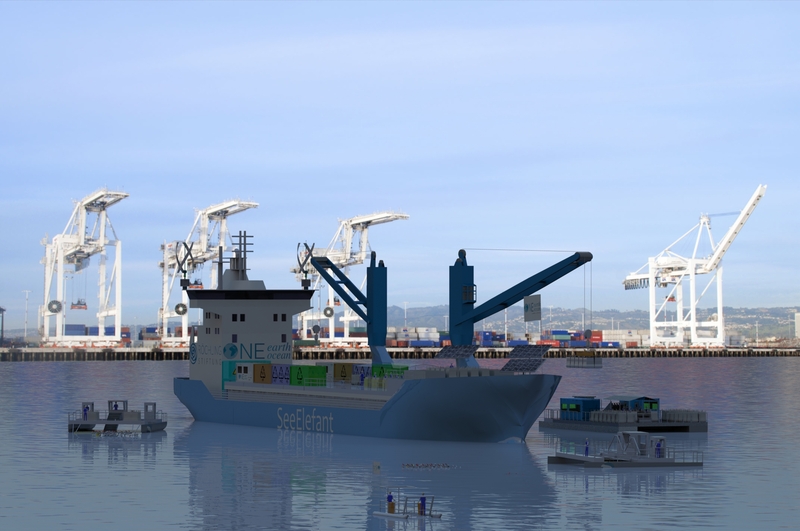 The research, cleaning and reconnaissance vessel, financed entirely by donations, weighs just under 6 tons and can be dismantled and transported to any place in the world by freight containers. 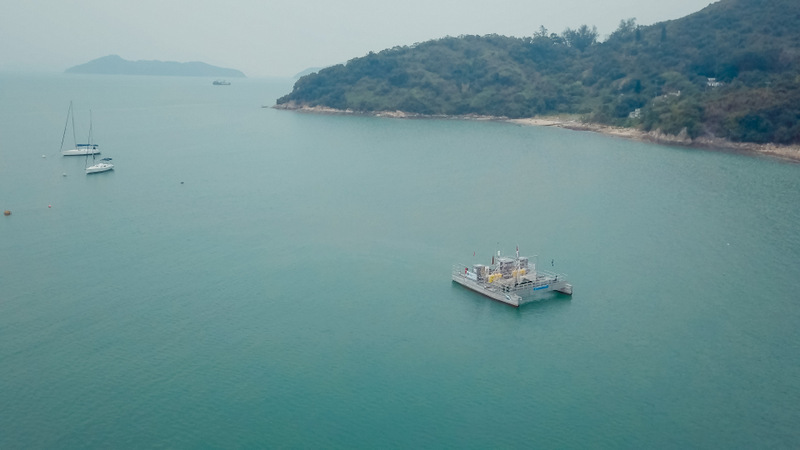 In spring 2018 the SeeKuh travelled to Hong Kong for half a year. it will come back to Germany in august 2018. 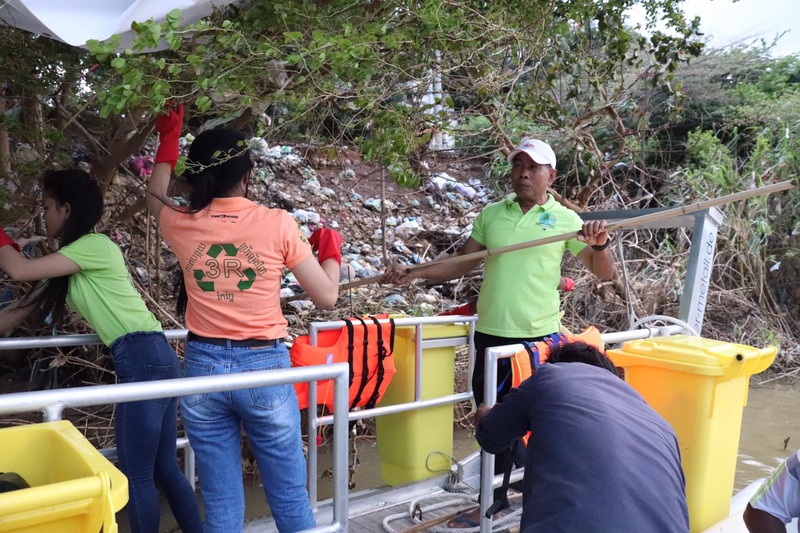 Further cleaning actions are planned in 2018 and 2019 to promote the concept of “marine litter cleanup”. The planning and implementation of the first SeeElefant also started in 2018. 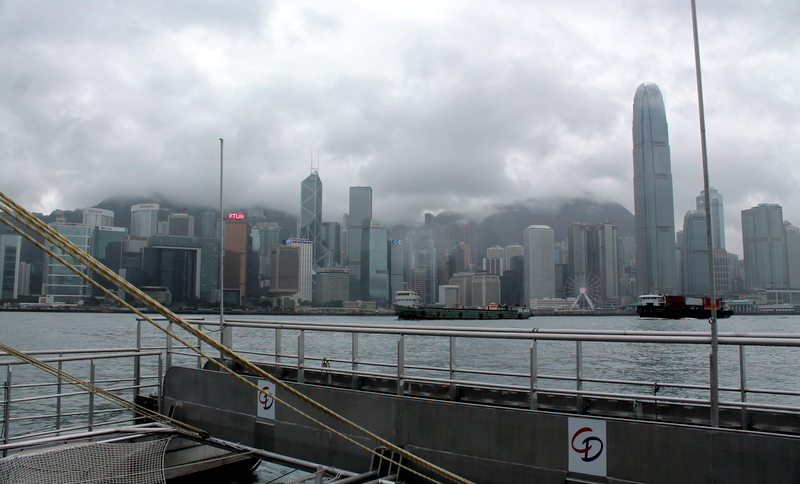 In january 2018, SeeKuh was on tour in Hong Kong for half a year. 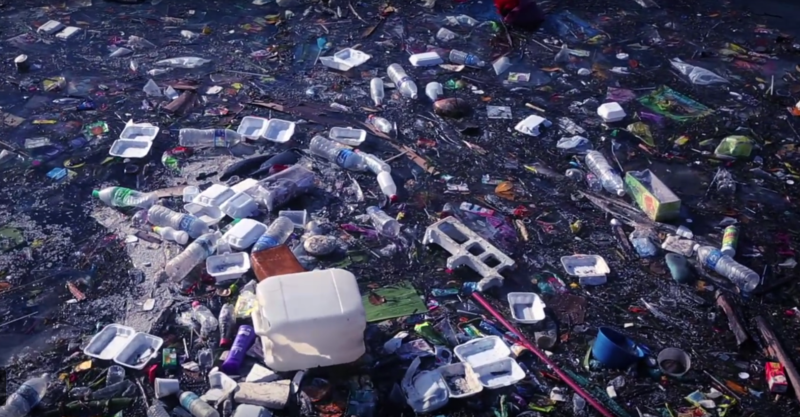 Asia is the region most heavily polluted with plastic waste worldwide. 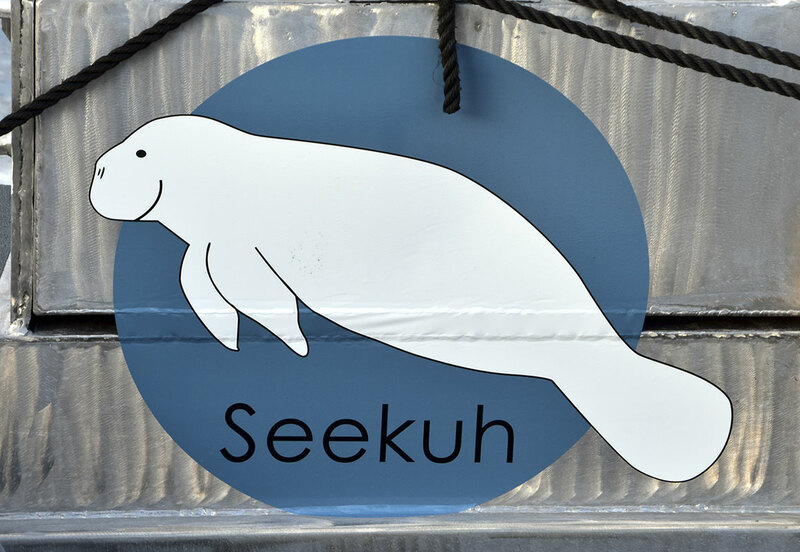 In spring 2018, the SeeKuh was on its way to Hong Kong. Asia is the most polluted region in the world with plastic waste. In addition to cleaning campaigns together with local environmental groups, information events for children, schoolchildren and citizens were the focus of the project. In September 2018, the SeeKuh returned to Germany. 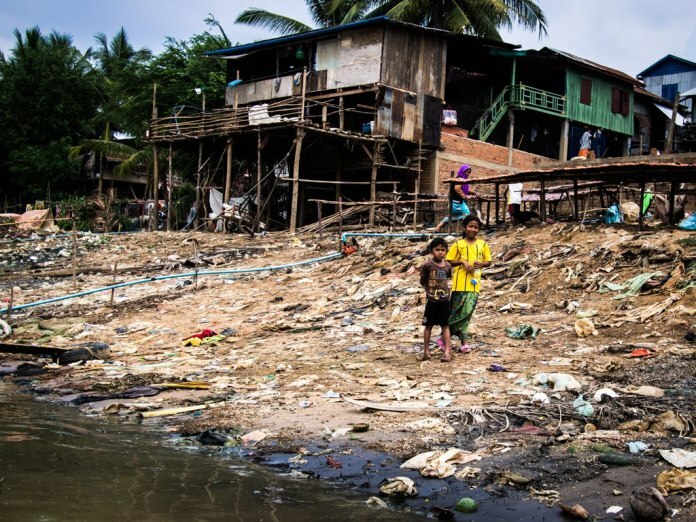 In the spring of 2018, a cleaning and environmental education project in Cambodia will be launched by OEOO in cooperation with the Thuringian-Cambodian Society e.V. and COMPED (Cambodian Education and Waste Management Organization). 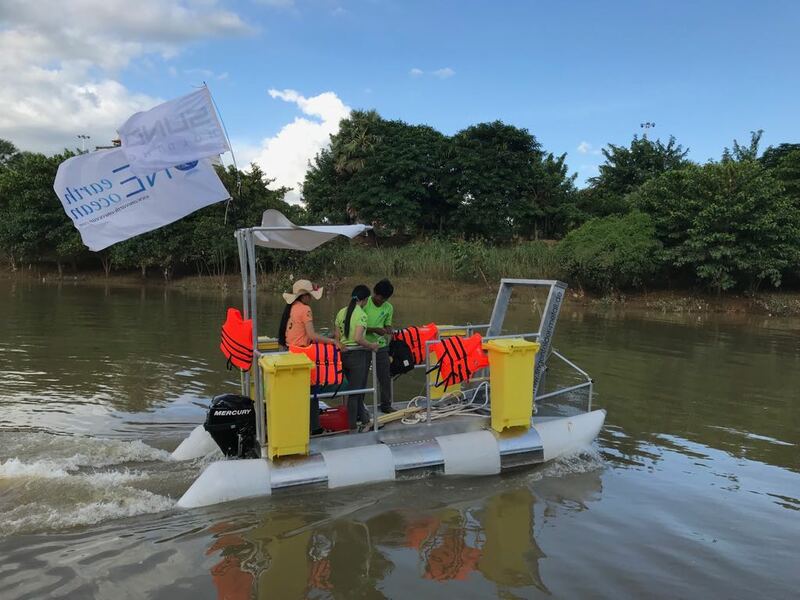 Locals are to clean the heavily polluted Sangkae River in Battambang from plastic waste with the help of a newly developed SeeHamster. Accompanying courses, lectures and media work will take place. In mid-January, the newly designed SeeHamster was completed near Munich and accepted by TÜV Bayern. By now he has arrived at his destination. The one year project is financed by SUND Holding GmbH + Co. KG, a German plastics manufacturing and sales group. 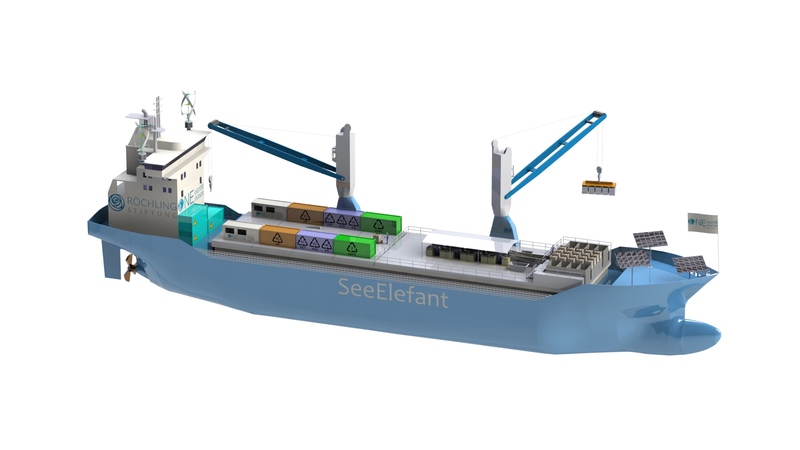 Since the beginning of 2018, a team of ship designers, plant engineers, environmental technicians and project developers has been working in Kiel on the planning implementation of the first SeeElefant. 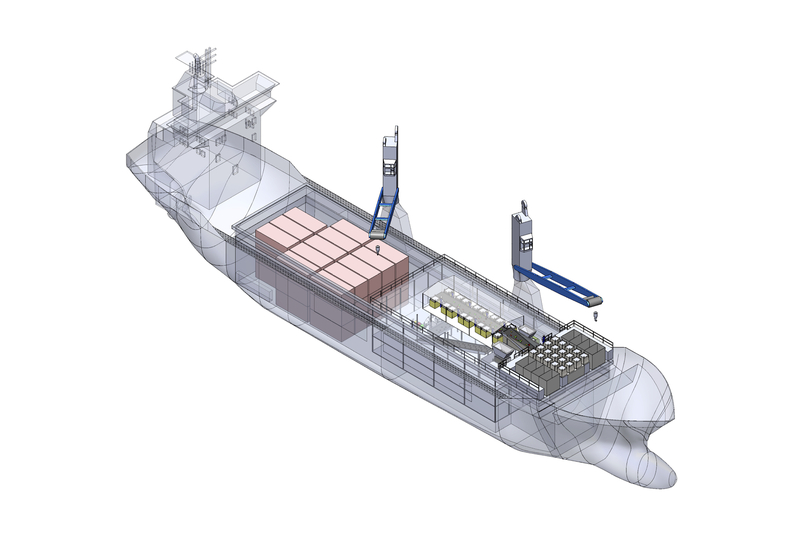 The converted container ship is to have facilities on board for sorting, crushing and processing marine waste. 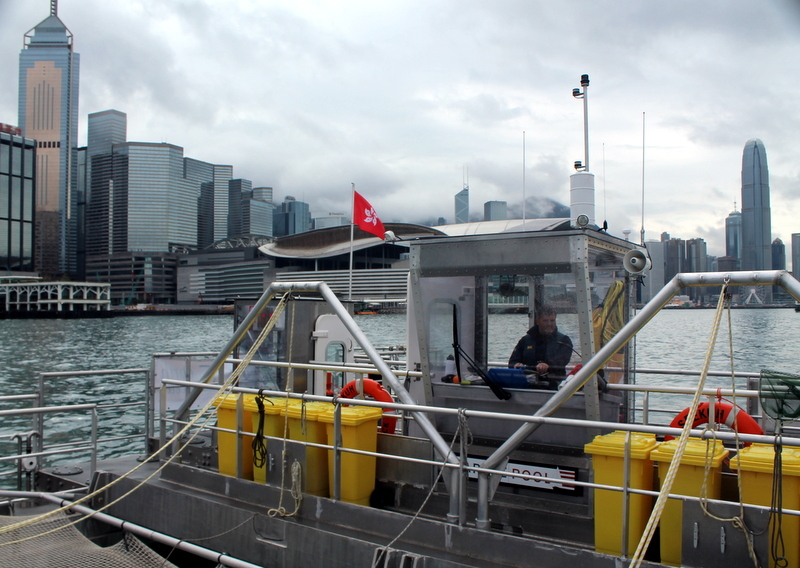 Plastic will either be recycled or converted into oil directly on board. Organic residues and wood are to be converted into biogas or thermally recycled. The initial target is a processing capacity of 20 t/day. In further expansion stages, this system will also be developed for commercial operators with up to 200 t/day. 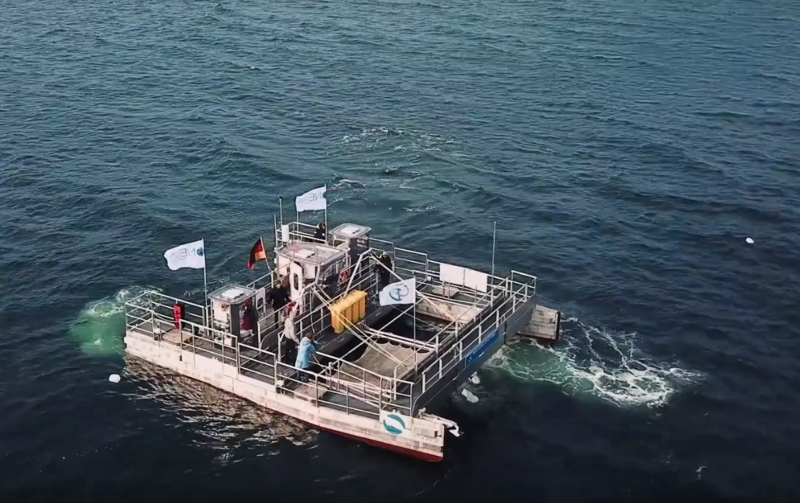 In order to contribute to the research into the medium to long-term effects of microplastics on humans and animals, OEOO is engaged in setting up a global database on the levels of pollution in the world’s oceans. The association has been cooperating since the beginning of 2013 with the container line shipping company OPDR from Hamburg, whose ships travel between Northern Europe and Africa. 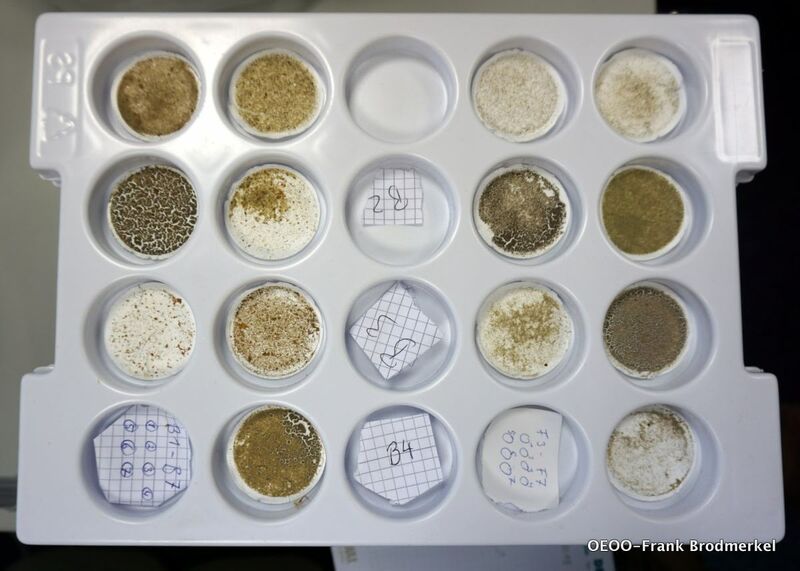 Water samples from the North Sea, the Atlantic and the Mediterranean are collected regularly and then analyzed by OEOO with an infrared spectrometer to get information about the type and amount of microplastics. 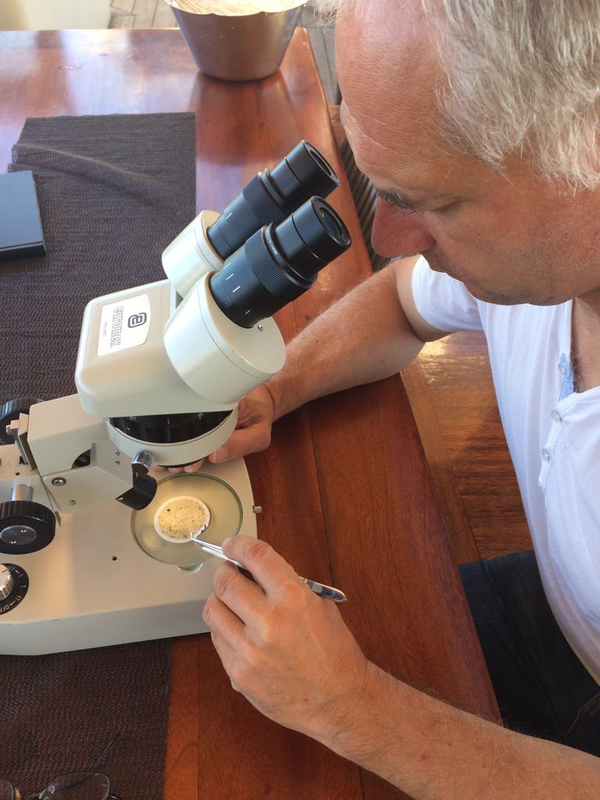 OEOO Microbiologist Dr. Rüdiger Stöhr supervises the scientific evaluation. Other shipping companies will soon be involved. 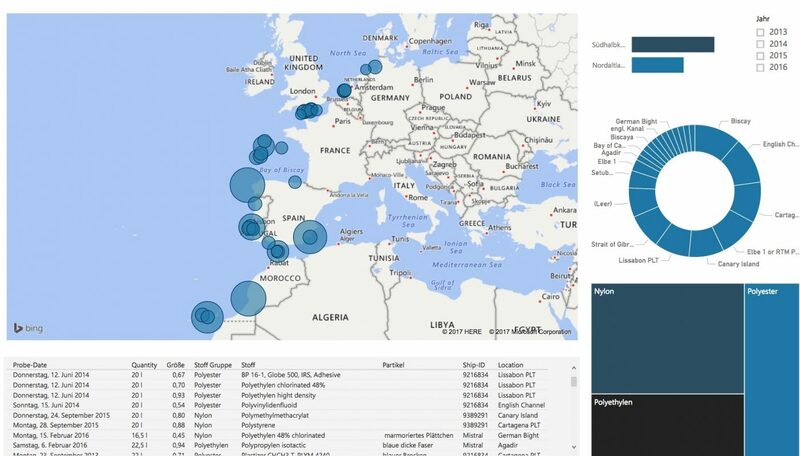 With the collection and analysis of the pollution data, the organization builds up a marine waste map, which can be viewed on the OEOO website. The results are intended to help assess the scale of the problem seriously and thus demand the urgency of national and international solutions. Please find enclosed further information about our study approach. 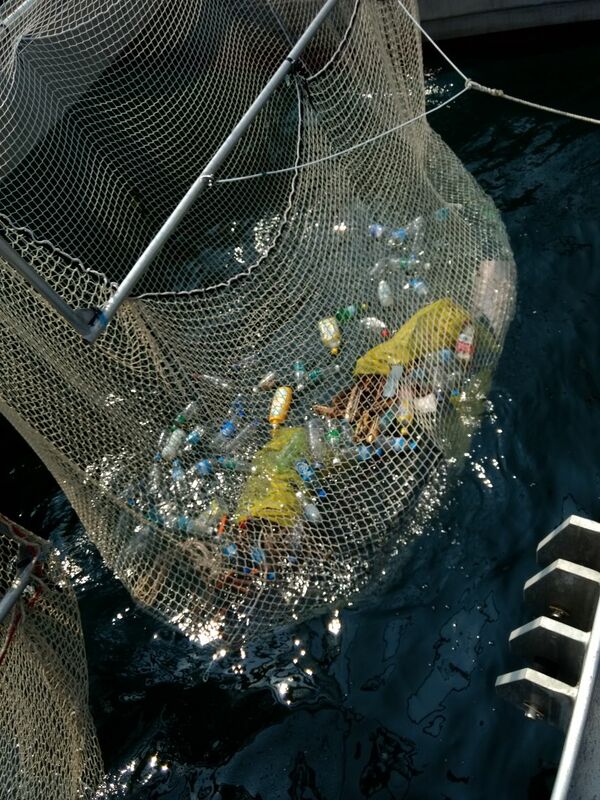 The pollution of the water bodies by (plastic) garbage is nowadays also becoming increasingly important in science. 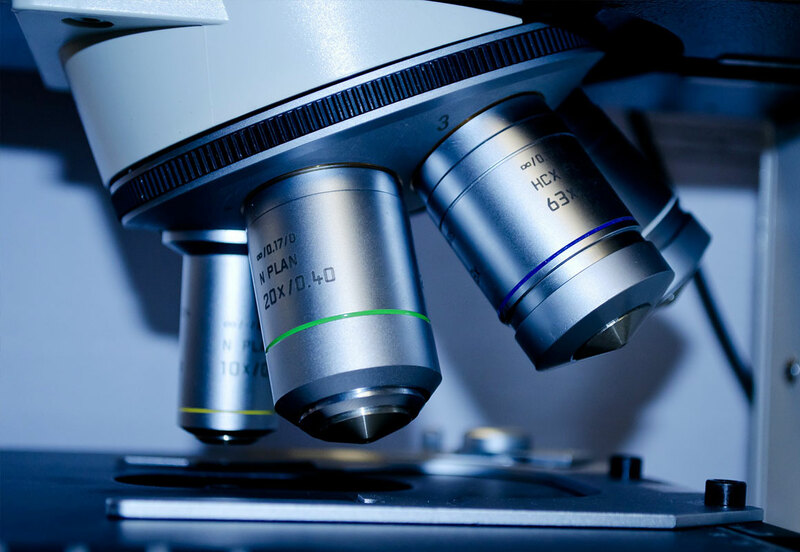 OEOO is dedicated to providing information and scientific documentation on plastic waste. 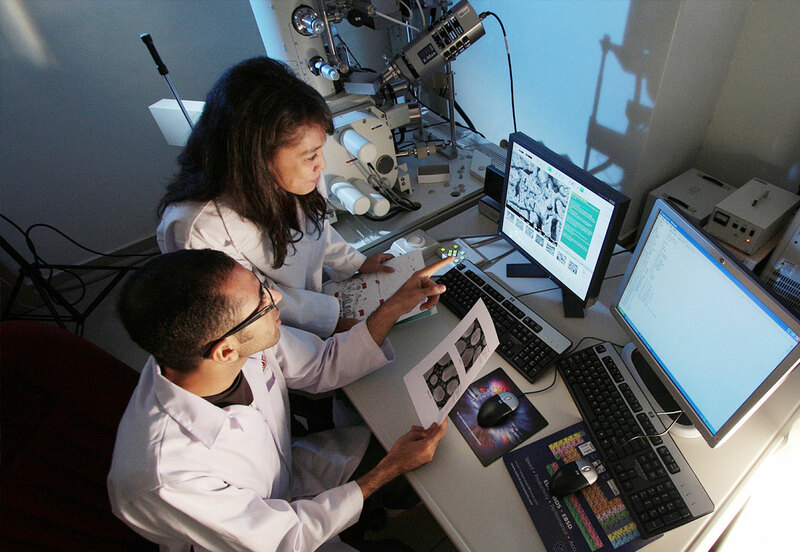 In order to provide scientists, environmental organizations, journalists and NGOs with the opportunity to be informed quickly and comprehensively about the research, One Earth – One Ocean has developed a comprehensive international knowledge database on marine waste, which provides online access to several hundred current scientific studies world. The project is supported by Daimler AG. The Niger Delta in Nigeria is one of the most oil-rich areas in Africa, but the landscape is regularly polluted by oil spills on the production facilities and pipelines. 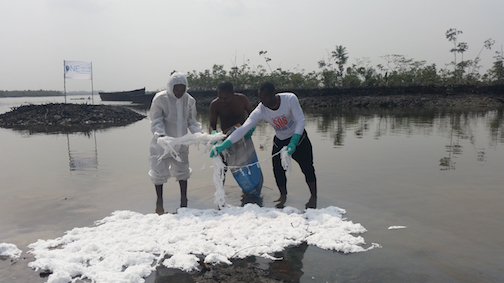 OEOO cleans waters in Nigeria from the immense oil pollution. We want to prove that these can be eliminated with relatively simple means and the support of the people in the area. 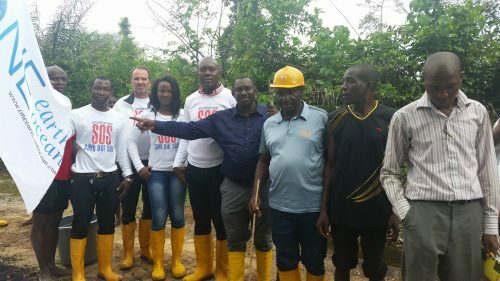 there are talks between Nigerian Minister of the Environment and OEOO, the Nigerian environmental activist and alternative Nobel Prize winner, Nnimmo Bassey and the local authorities. 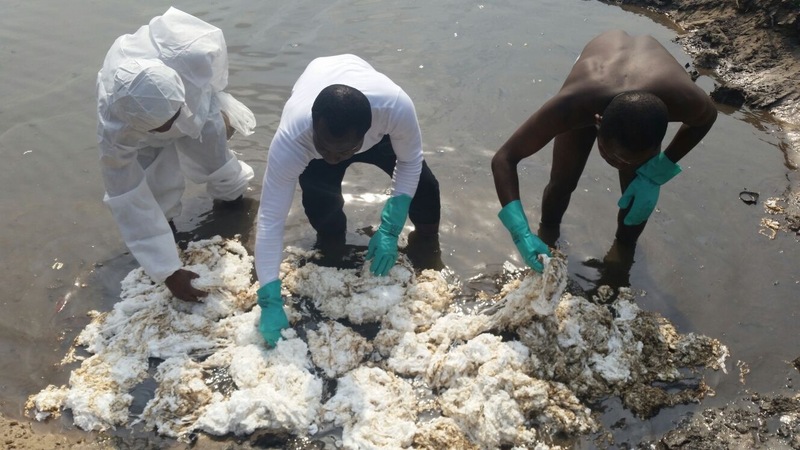 Invited by Hajiya Amina, the Nigerian Minister of the Environment, OEOO is currently the only NGO that will work on an official oil spill project of the Nigerian government. We are official partners of the Ogono project, a government program for the cleaning of areas in the Niger Delta in 2017. With the clean-up of the environment, jobs and peace can be created on the ground for many years, the lifebase of the people living there can be restored in the long term.